AMMAN – Under the patronage of HE Dr. Talal Abu-Ghazaleh, the National Forum for Awareness and Development organized its annual celebration to honor young pioneers from various universities and governorates throughout the Kingdom along with educational, social, economic and public personalities who contributed to the success of the National Youth Conference that was recently held. Dr. Abu-Ghazaleh welcomed the attendees and commended all efforts to enhance the culture of volunteering and community service among the youth. 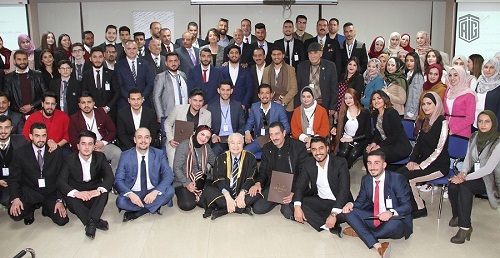 Dr. Abu-Ghazaleh called on the youth to strive and excel in building their country, affirming his continuous pursuit to opposing public vacations and holidays which contradict the culture of construction and productivity. For his part, Mr. Mohammad Al Bodour, head of the Forum, said that the conference comes as a national initiative to implement the vision and aspiration of HM King Abdullah II for the active participation of youth in public life and positive changes towards this goal. He pointed out that these royal directives were the main guidance for launching the Conference at the Senate, under the patronage of President of the Senate HE Mr. Faisal Al Fayez in May 2018. Furthermore, Al Bdour added that the Conference programs included training a team of coordinators who participated in panel discussions with decision makers from the Senate, the Lower House, the Ministry of Youth and a number of universities to discuss national priority issues. 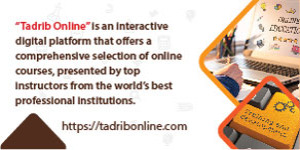 During the ceremony, the Forum announced a number of programs which will be launched in the governorates in particular a program that will be implemented at universities in collaboration with Jordan Bank and universities under the titles: “Exceed for a Better Future” and “We Decide”. The Forum also announced its partnership with the Directorate of Public Security to lead traffic awareness campaign through the “Idol Perfect” initiative and the Pioneers of Safe Driving Network, in addition to the National Security and Community Defense initiative which contributes to the empowerment of society in facing natural disasters and crises. On behalf of all youth, Shahem Al Khawaldeh praised the support from HRH Prince Hussein bin Abdullah II and his various initiatives to enable youth to make positive changes in their communities. 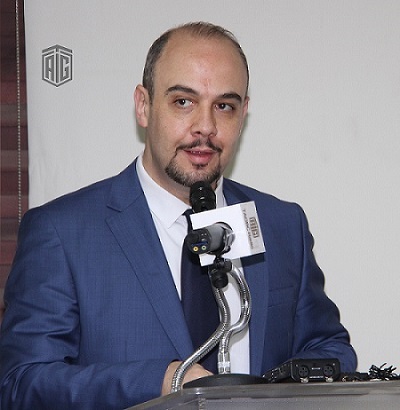 Meanwhile, Mr. Fadi Daoud, Education and Youth Advisor at TAG.Global and Executive Director of Talal Abu-Ghazaleh Knowledge Forum (TAG-KF), briefed the attendees on the role TAG-KF plays in supporting the youth and helping them develop their knowledge and capacities to be more effective in building a better future for their nation. 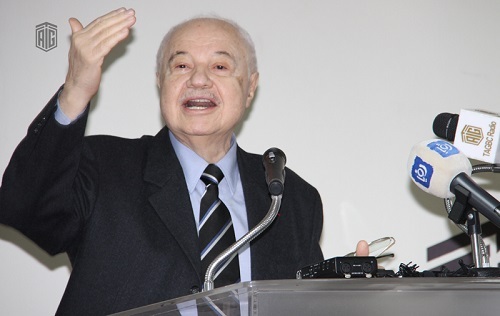 At the end of the ceremony, Dr. Abu-Ghazaleh honored the participants and presented them with appreciation certificates. Additionally, other prominent personalities were honored for supporting the youth including Their Excellencies members of the Senate Ms. Rabiha Al-Dabbas and Mr. Ghazi Al-Tayeb, Mr. Aryan Shah, First Director of the National Democratic Institute, in addition to Mr. Shaker Fakhouri, Mr. Ahmad Tantash, Dr. Khalaf Al-Zyoud, Dr. Turki Obeidat, Dr. Sari Hamdan, Dr. Ahmad Al-Jaloudi, Dr. Bassam Al Omari, Mr. Mohammad Qadoura, Dr. Amin Abu-Hijleh, Eng. Ahmad Theinat and Mr. Fadi Daoud.